It gives me a great pleasure to write this message to launch our Diocesan Website, today, the 1st of January, 2016. The pleasure I feel at giving this message is all the greater because the “gestation period” of our website is a very long one! For reasons, often not under our control, the launching of this website kept on getting postponed. It was supposed to be a CHRISTMAS gift to the diocese, three Christmases ago! Great, therefore, is the pleasure, as the diocese, finally, receives this gift. “BETTER LATE THAN NEVER”, they say. And so, I say the same, as I launch the website today, the 1st day of the year 2016. “WELL BEGUN IS HALF DONE”, they say. And so, I hope that this creation of the website, will be a good beginning, of the New Year, for our diocese. May more and abundant blessings from God come our way throughout this year, and throughout the years to come. May this Website be just the beginning of many other blessings to follow. Today we celebrate the feast of Mary, the Mother of God. We venerate her as the Patroness of our Diocese, under the title of “Stella Maris”, Star of the Sea. May She always be our guiding Star in all that we do. I have seen a number of websites, which never seem to be updated. I hope that our diocesan website will not remain as it is today, but will keep on getting updated so that the people who browse through it, will have some new things to read about the Andaman and Nicobar islands and the Catholic Diocese of Port Blair. Whenever I am on the mainland, India, as well as abroad, people ask me about the islands and about the Church in the Islands. It will be nice if I can only refer them to our diocesan Website, and say to them: “It’s all there in our Website, just open and read!”. 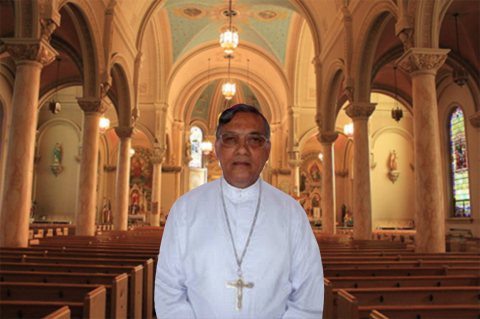 To all of you browsing through, I say: welcome to the Andaman Islands and welcome to the Church in the Islands.